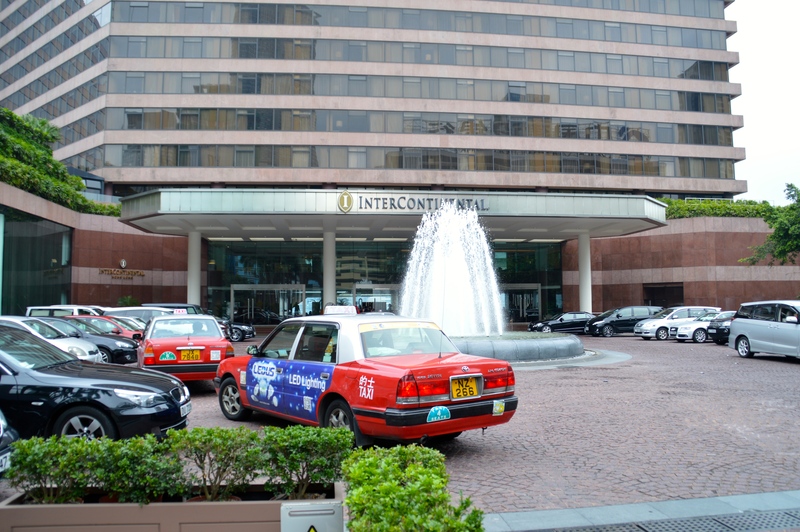 As a Hong Kong native, the InterContinental Hong Kong has always been an iconic hotel in my mind. I remember the days when it was still known as “The Regent Hong Kong” hotel, before it was sold to IHG (then known as Six Continents) in 2001. The hotel boasts a killer harbor view that’s even been featured in Apple commercials, and the grand stairwell is basically where all the local celebrities have their wedding photos taken. The hotel was most recently sold to a group of investors for almost US $1 Billion in 2015, making the deal one of the biggest in the hotel industry’s history. As part of the deal, IHG entered into a 37-year management contract, with extension rights. It would appear that IHG is hoping to make their investment worthwhile, and will be closing down the InterContinental Hong Kong for 12 – 16 months in starting in Q1 of 2019 for a major renovation. The hotel will essentially renovate everything from guest rooms to public areas, and will even redesign the building façade to modernize the look a little. The restaurants and event venues will also be renovated, but work there is expected to complete a bit earlier; IHG states that they will reopen them in late summer of 2019. Meanwhile, Yan Toh Heen, the 2-Michelin star Cantonese restaurant (which is also featured in the American Express Centurion Lounge Hong Kong) will remain open throughout the renovation. The hotel is noteworthy as one of the favorite spots to redeem the annual free night that comes with the Chase IHG card. For an annual fee of $49, you get to redeem a free night at any IHG property worldwide. I find myself in Hong Kong usually at least once a year, and with the InterContinental Hong Kong being one of the most expensive properties (both with cash and with points) out there, it’s a great redemption for me. However, the hotel is definitely aging quickly. I most recently reviewed the property in 2016 (and also in 2015); while the rooms are pretty large by Hong Kong standards, the décor of green and tan marble is dated, and the exterior looks like the hotel’s been stuck in the 80s. I know this might be old news for some, but I figure it’s worth highlighting following the most recent IHG Rewards Club devaluation. This hotel will soon require 70,000 points per night, which I can hardly say is a great deal anymore. Perhaps the renovation will better justify this new price. There is no word on the exact date on which the renovation is set to begin, other than “sometime in Q1 2019.” I suspect the hotel is still gauging demand around Chinese New Year, which will fall on February 5, 2019. But if you are planning on either redeeming a free night (or points before the price increase), know that a major renovation is on the way!